The festive season is all about traditions. Mine include: dressing the tree, new bedding and PJs on Christmas Eve and, of course, leaving the mince pie and a glass of port out for Father Christmas as well as overeating and the watching of a few classic films such as Escape to Victory and Holiday Inn. Traditions I have developed in recent years include visiting the Manchester Christmas Markets (see here); a curry on Christmas Eve; sleeping downstairs to ‘guard the presents’ and writing a ‘Best of’ blog post. 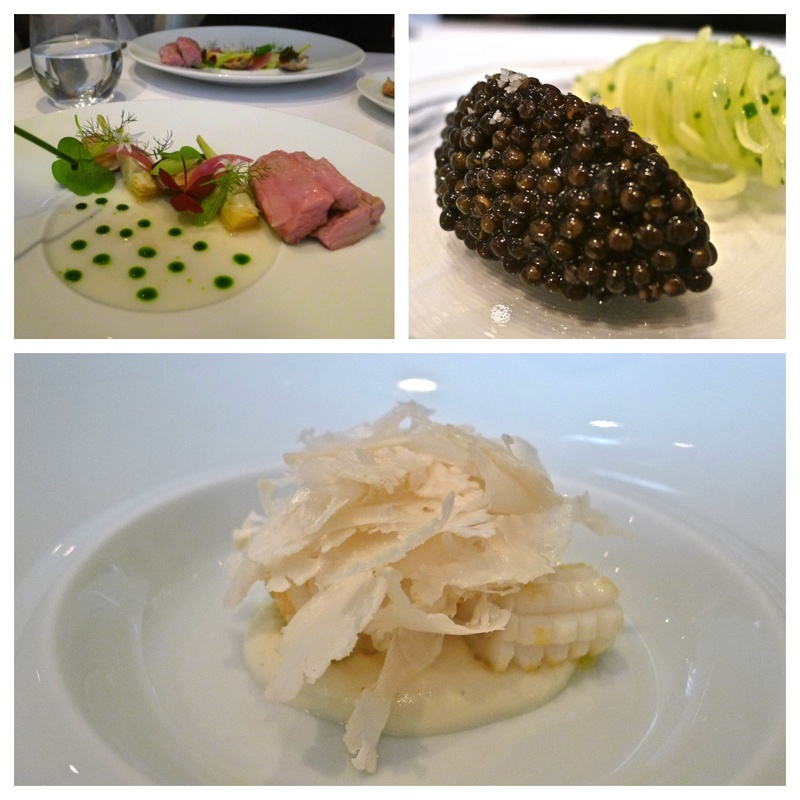 2011’s ‘Best of’ (see here) featured fourteen dishes collated to create my ultimate dégustation for the year. With gourmet trips to Paris, Bangkok and Singapore, this year, I have decided to put together two such menus – ‘Home’ and ‘Away’. Choosing the dishes was not an easy task. Over the course of the year I have eaten hundreds (possibly thousands) of dishes. All that I have selected have managed to ‘stick in my mind’ for one reason or another. 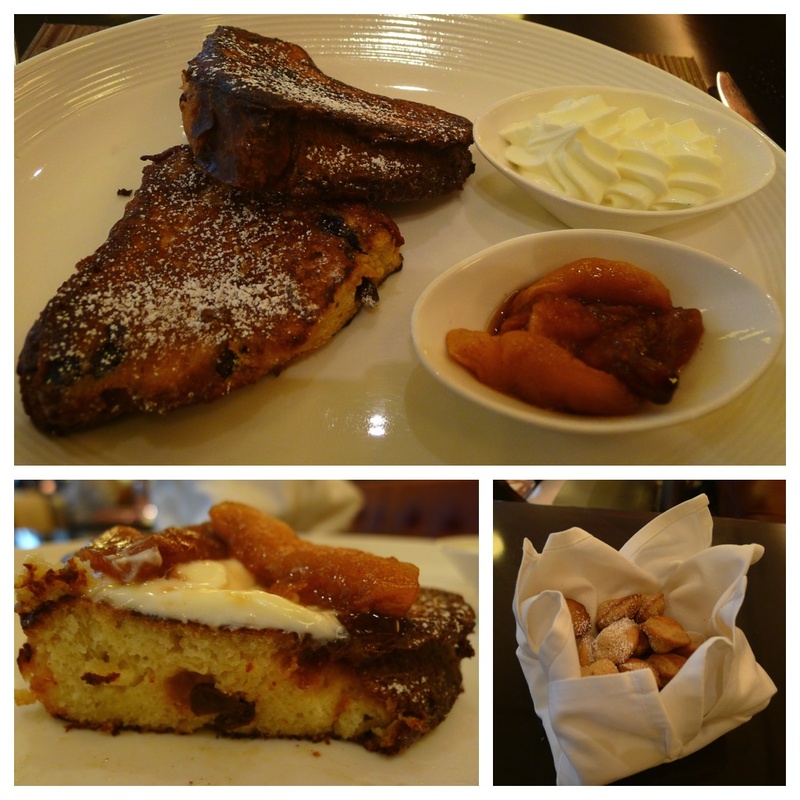 Some due to the quality of ingredients; others for their creativity but all have one thing in common… they tasted great! 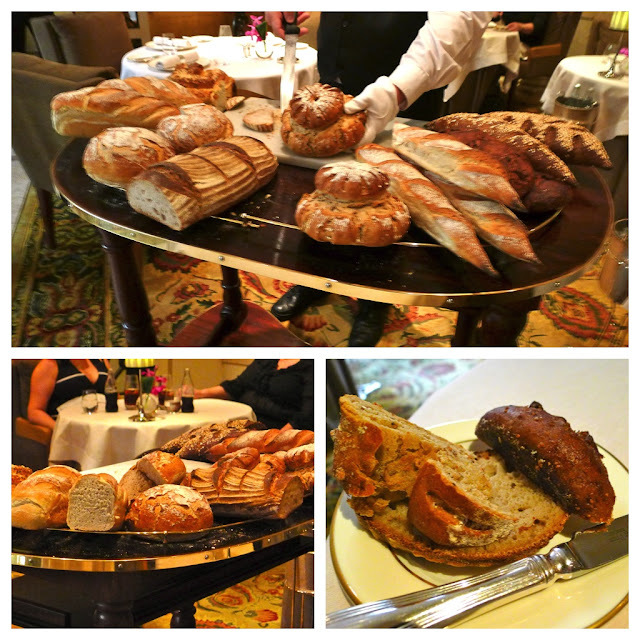 Breads – Simon Radley at the Chester Grosvenor, Chester (see here for the full post). ‘Barry the Baker’s’ breadboard at Simon Radley at also made it onto last year’s menu and it remains the best I have seen and tasted. 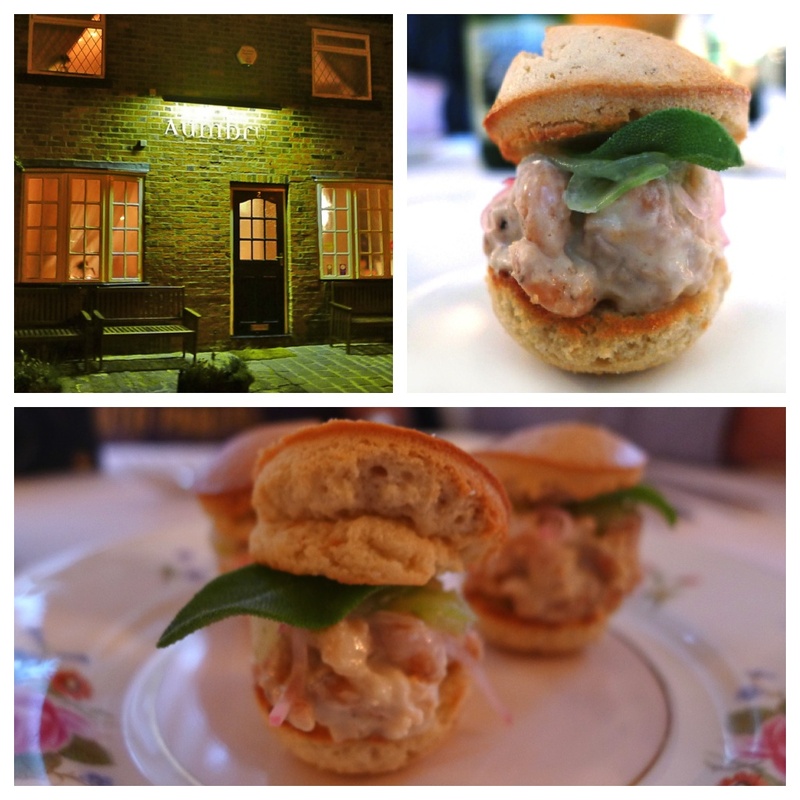 Potted Shrimp Burger with Ice Plant & Turnip – Aumbry (here). In June, I joined fellow food blogger CumbriaFoodie (see here) and a mutual friend for a wonderful meal at one of Manchester’s finest restaurants, Aumbry. We ate some great food that night but this delicious amuse bouche stuck in my mind. Gull’s Egg – The Ten Bells, London (here). In April, I visited the Ten Bells to sample the food of James Lowe and Isaac McHale where I shared a table with top food photographer Per Anders Jørgensen (@pa_jorgensen) and his wife Lotta who write the award winning Fool magazine (here) – recently voted world's best food magazine in the Gourmand Awards for 2013. 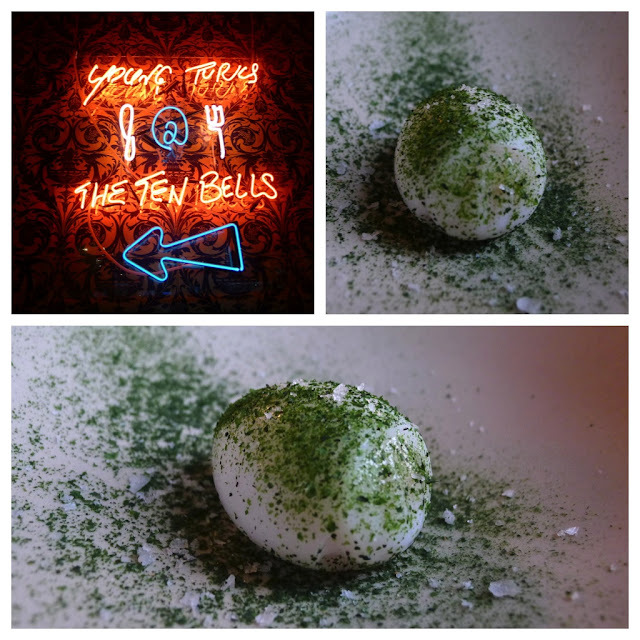 It was a fabulous meal experience but the one dish that stands out is the Gull’s Egg. As Chef James Lowe brought the dish to the table he explained how the egg had been cooked at a low temperature before being showered with finely powdered dehydrated celery and a Maldon made seaweed salt. These are apparently one of the most expensive eggs you can buy, having a short 3-week season and required to be hand collected by specially licensed ‘eggers’. It is said that the yolks are a ‘stunning bright orange’ but I did not get to see this because as instructed, I took a quick snap and popped it in whole, whilst still warm – it had a rich, creamy texture and tasted wonderfully indulgent. 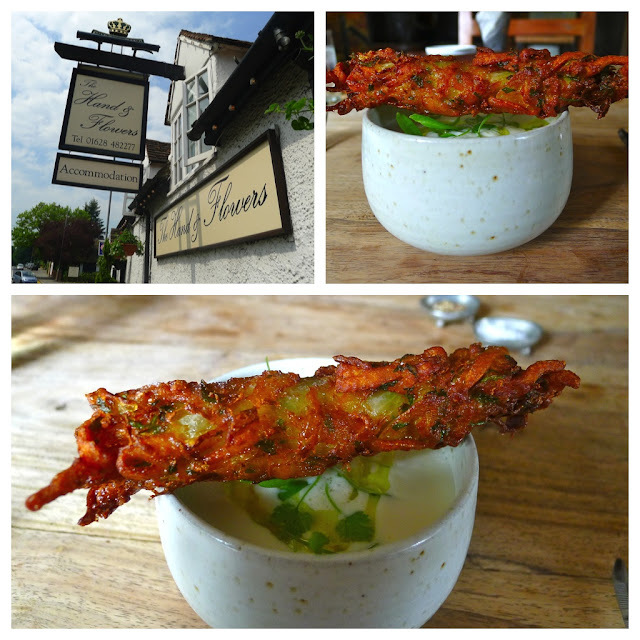 Cauliflower Soup with Potato Pakora & Curry Oil – Hand & Flowers, Marlow (here). In May I visited Tom Kerridge’s 2 Michelin starred pub The Hand & Flowers. This soup was perfection – piping hot and heavily scented with Indian spices. 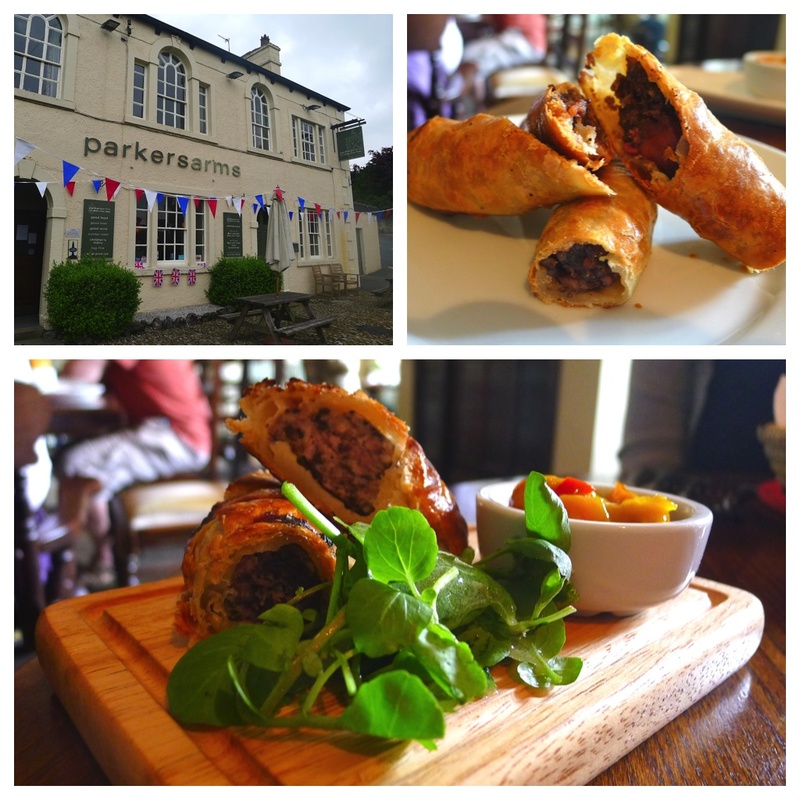 Black Pudding Sausage Rolls with Parker’s Piccalilli – Parkers Arms, Lancashire (here). Parkers Arms is a real ‘local’ find. In my opinion, passionate chef / proprietor Stosie Madi serves some of the most creative and flavoursome ‘pub grub’ in the country. Like much of the menu, her black pudding sausage rolls make excellent use of local ingredients and her piccalilli is the best I’ve had! Heritage Tomatoes in Rosehip, Smoked Marrow & Borage – L’Enclume, Cartmel (here). 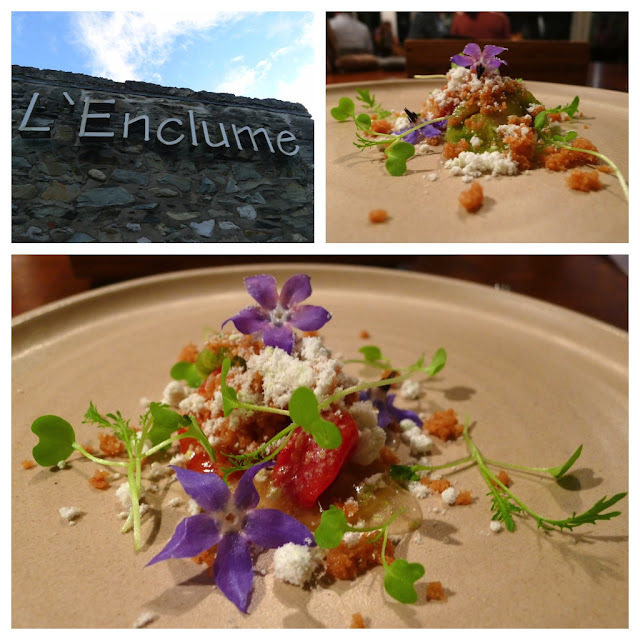 A meal at L’Enclume is always special and now that they have been awarded two stars from Michelin this has never been more so. This dish stuck in my mind due to its woosh of flavour. Sweetbreads – Fraiche, Oxton (here). 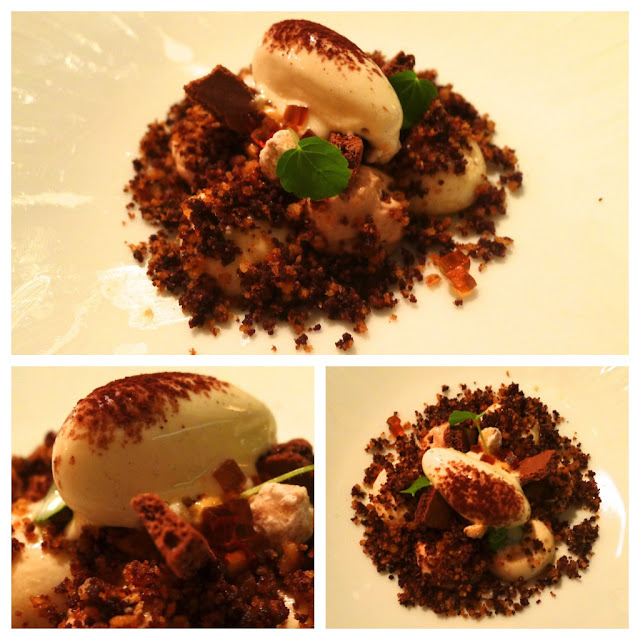 Throughout the year we have enjoyed many meals at Marc Wilkinson’s Michelin starred Fraiche and have loved every dish. So much so that it was difficult to choose one to represent the restaurant on this menu. 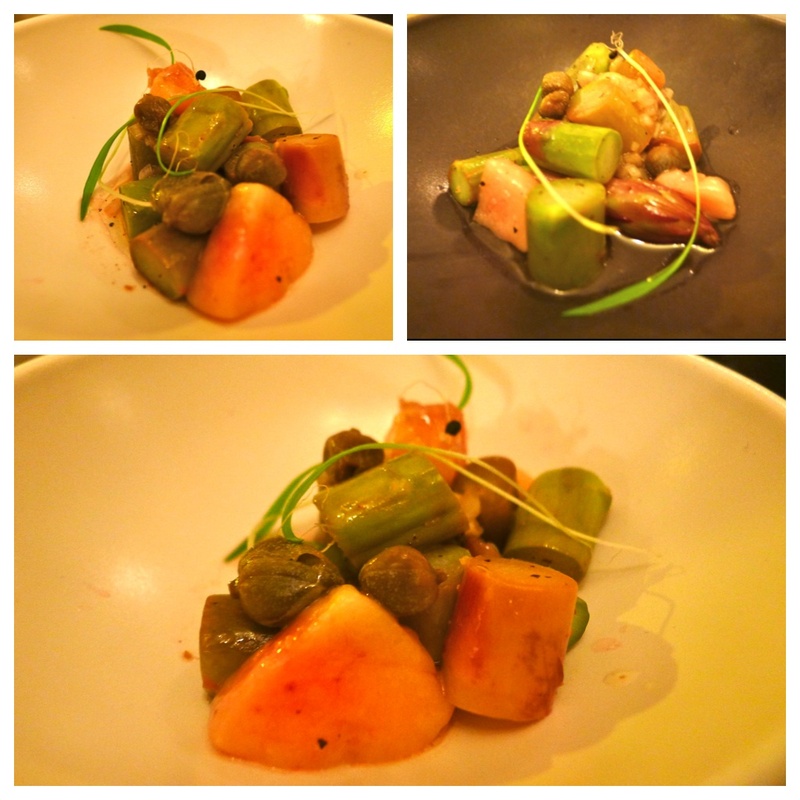 Eventually I selected the sweetbread dish that we enjoyed back in May. 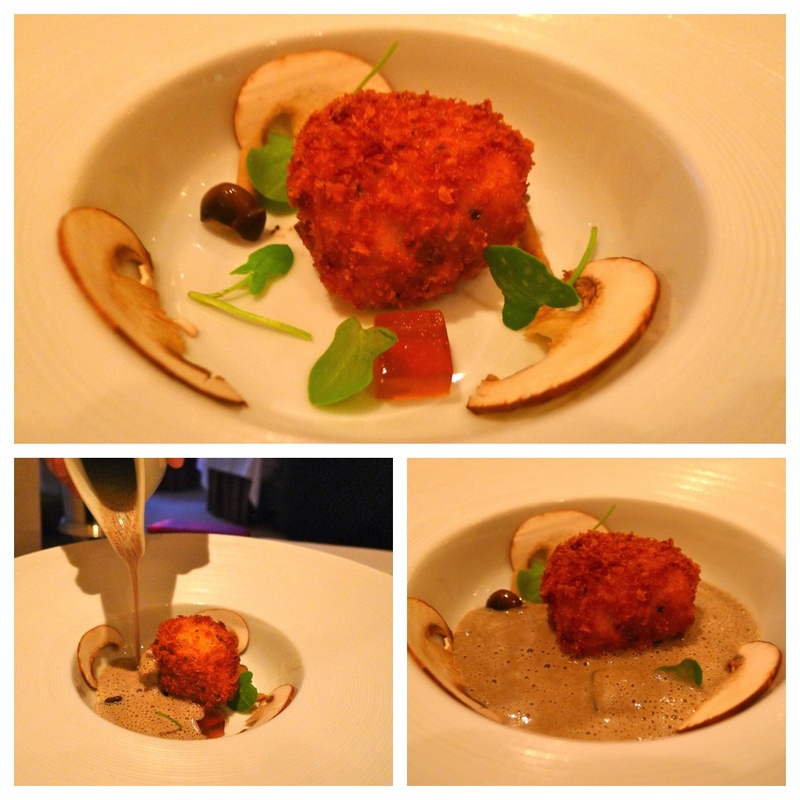 As a dish, it may not best represent Marc’s food and creativity but I particularly love sweetbreads. 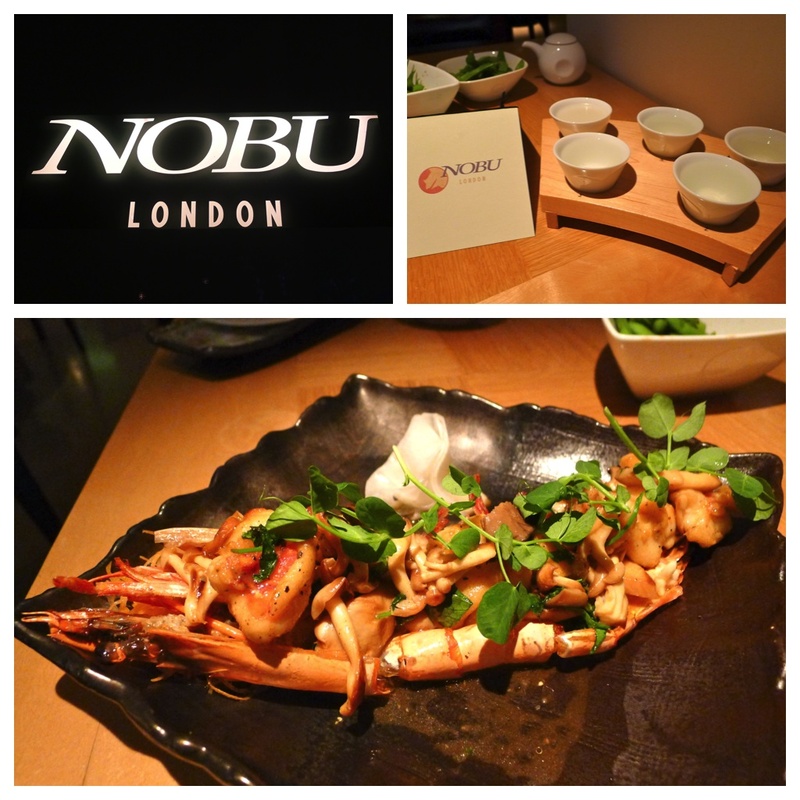 Jumbo Shrimp with Yuzu Truffle Sauce – Nobu London, London (here). 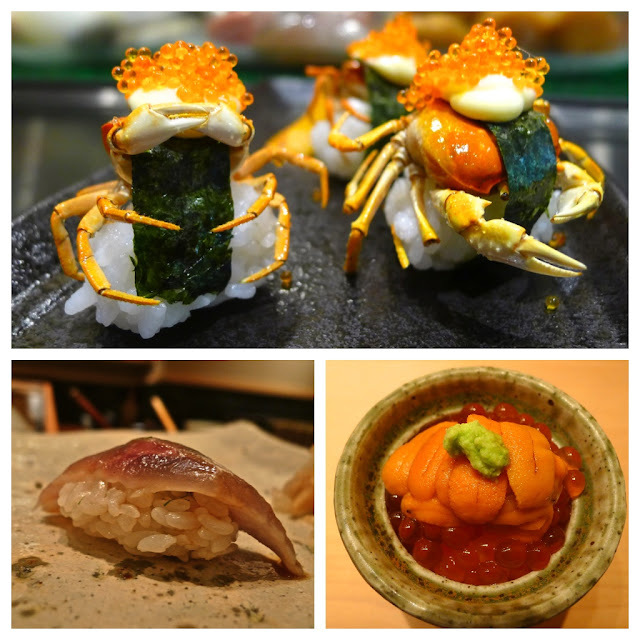 Japanese food has for a long time been my favourite of the World’s cuisines and this year I finally made a visit to the excellent Nobu. The sake pairing was such a delight but the dish that really wowed in terms of presentation and flavour had to be the jumbo shrimp. 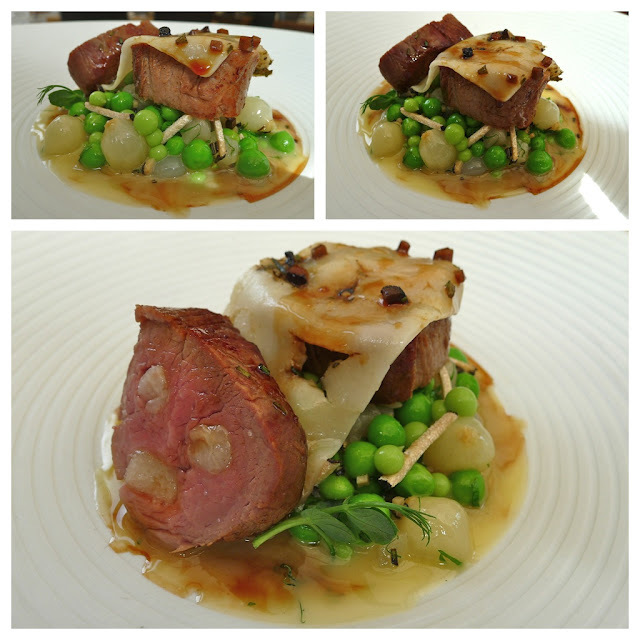 Veal fillet with peas, ham, truffle & rosemary – Aiden Byrne’s British Grill, Lymm (here). In 2012, Aiden Byrne and Simon Rogan went head to head when representing the North West in TV’s Great British Menu. In 2013 they will be reigniting their friendly rivalry in their quests to bring Michelin stars to Manchester. This isn’t the dish that Marcus Wareing awarded a perfect score of ten but it was the one that stood out for me in Aiden’s menu. 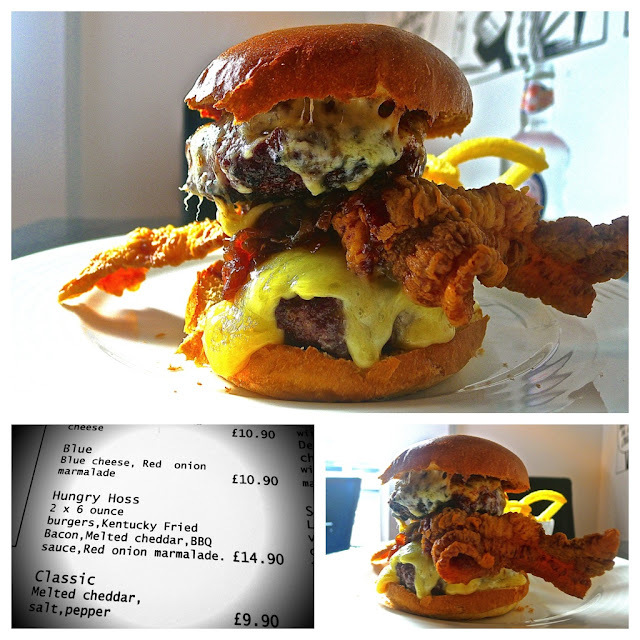 Hungry Hoss Burger – SoLita, Manchester (here). Due to my frequent visits, throughout the summer, to one of Manchester’s newest and hottest new informal eateries, I was privileged to have a burger named in my honour - one of my proudest moments! Cox’s apple with lemon thyme – Aulis RD at L’Enclume, Cartmel (here). My meal at Aulis with Chef Dan Cox and Simon Rogan was one of my food highlights of the year. 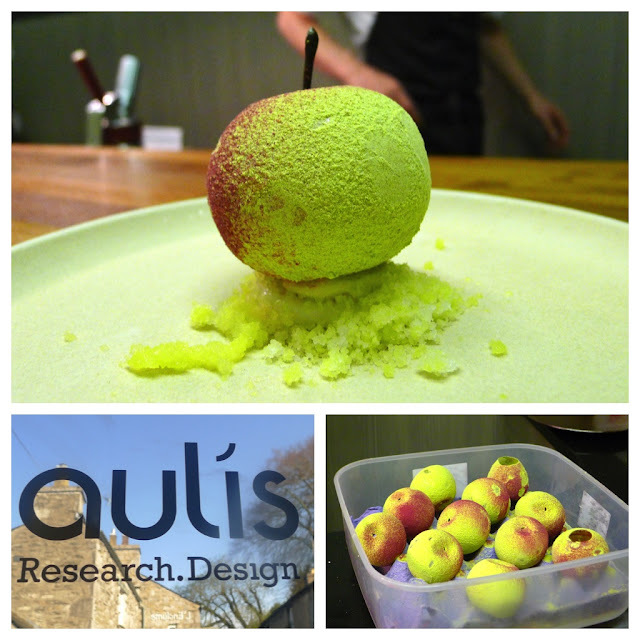 The apple dessert (made by pastry chef Michael Engler) seems to sum up the creative innovation of Aulis. ‘Desserts’ – Sat Bains, Nottingham (here). 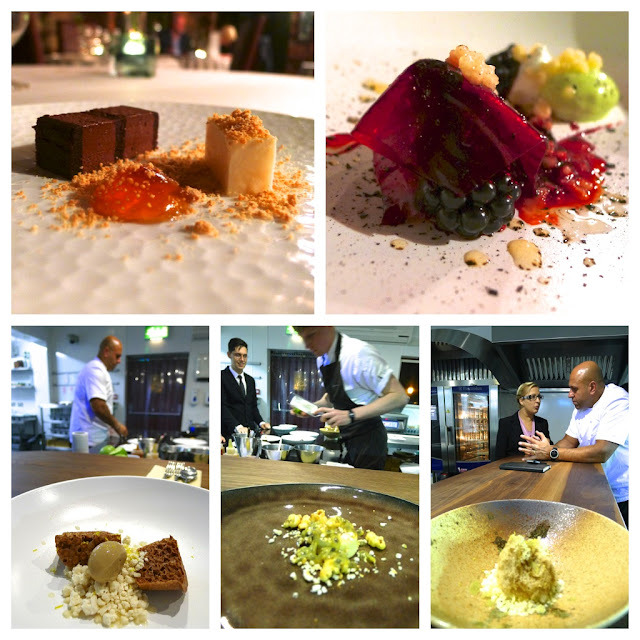 My meal at Sat Bains was definitely another of my year’s food highlights – made even more memorable by being invited to sit at the ‘Chef’s Table’ to sample some additional desserts. The sweetcorn and passion fruit dessert was magical. Location: ‘The Cube’ at The Royal Festival Hall, London (here). 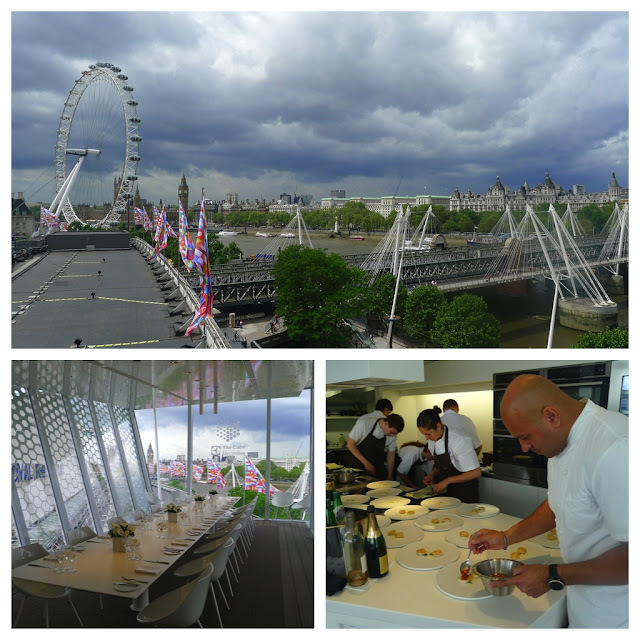 With its stunning views overlooking London and the Thames, ‘The Cube’ perched on top of The Royal Festival Hall would be my ideal location to eat my ultimate meal. Sadly, will no longer be there in 2013. Service: Fraiche, Oxton. Fraiche may be a small restaurant, serving just a handful of covers but James and Jon do a wonderful job to remain attentive without being obtrusive. They are always alert and observant but you never feel as through you are being watched. James’ knowledge of the dishes, drinks and cheeses is always spot on. Welcome Drink – Bo.Lan, Bangkok (here). This simple, refreshing welcome drink of Chilled Lemongrass & Pandanus managed to capture the scent and essence of so much of our South East Asian travels – it tasted like Bali and Thailand in a cup. 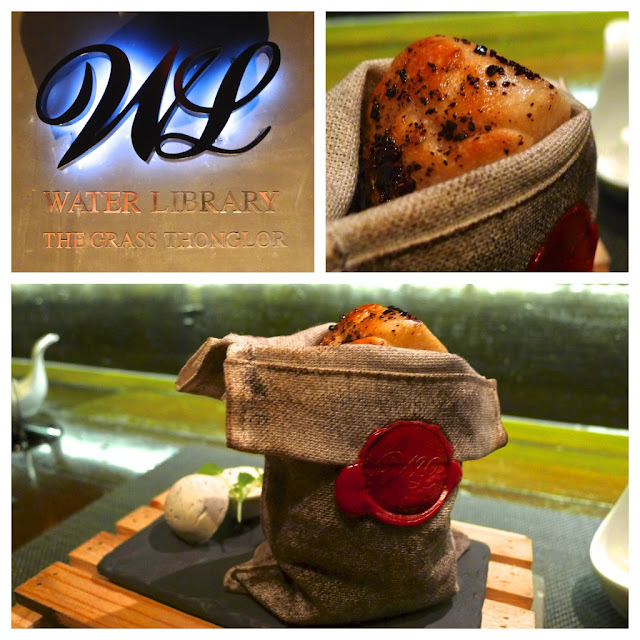 Bread: Potato ‘muffins’ – The Water Library, Bangkok. 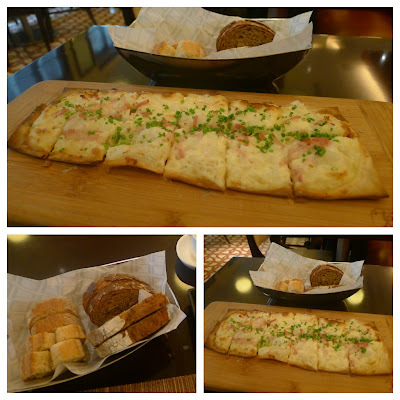 I have not yet got around to blogging about our excellent meat at Thonglor’s Water Library but I still had to include their delicious potato bread. The presentation, poking out of a miniature sack of deliciously scented roasted coffee beans as well as a fabulous lardon glaze and truffle butter made it truly memorable. 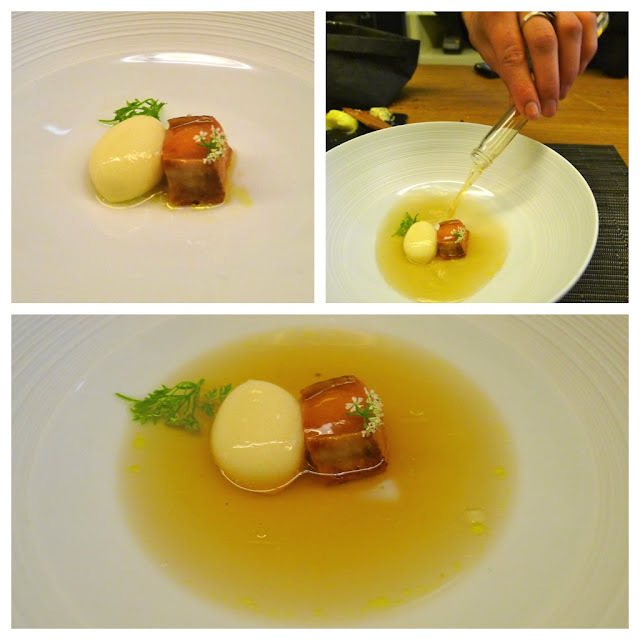 Potato Consommé with Foie Gras – L'Agapé Substance, Paris (here). December brought the news that Chef David Toutain has decided to leave L'Agapé Substance. Based on the phenomenal meal I had there, he is an excellent chef and I’ll be watching with interest to see where he cooks next. This Potato Consommé with Foie Gras was just one of 24 top notch courses. 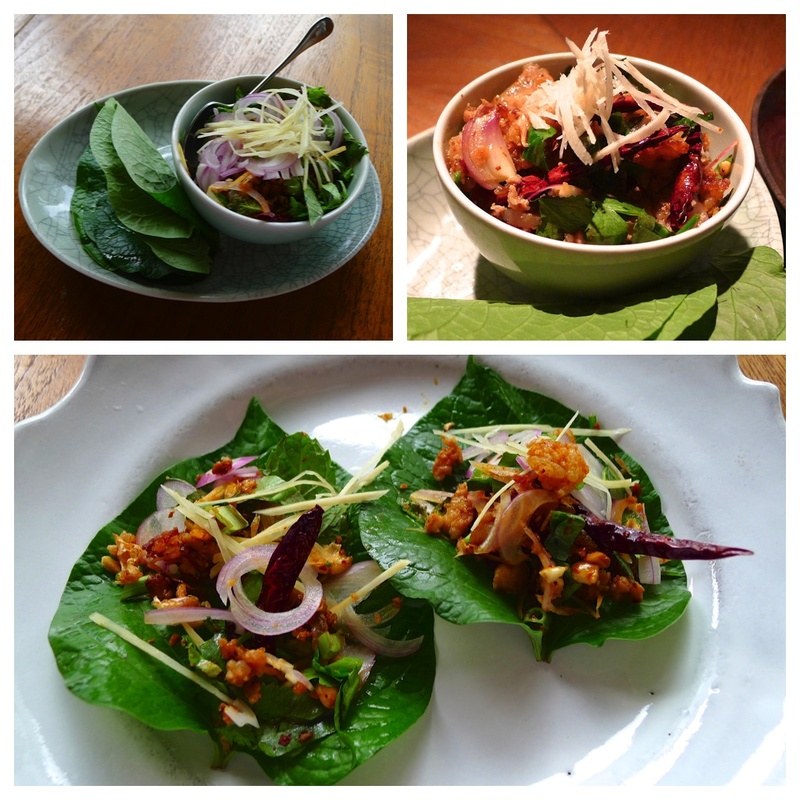 Spicy pork with mint, peanuts and crunchy rice on betel leaves – Nahm, Bangkok (here). Luckily we got to enjoy two meals at Nahm in Bangkok and were served this wondrously spicy betel leaf starter on both occasions. 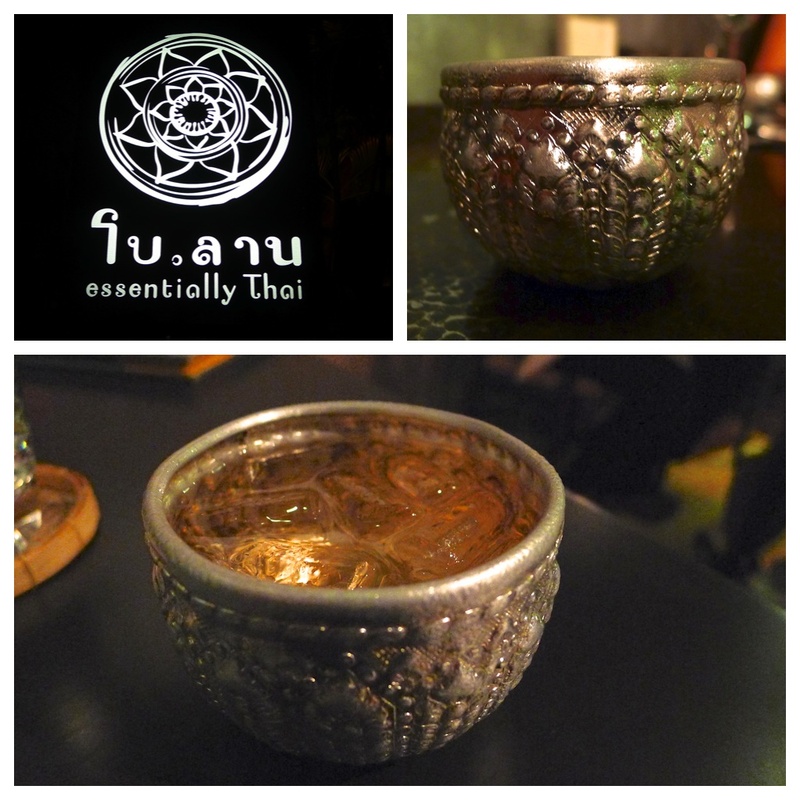 Fabulous example of Thai street and finger food brought up to the highest levels of gastronomy in what is regarded as the best Thai restaurant in the world as one of the World’s 50 Best Restaurants. 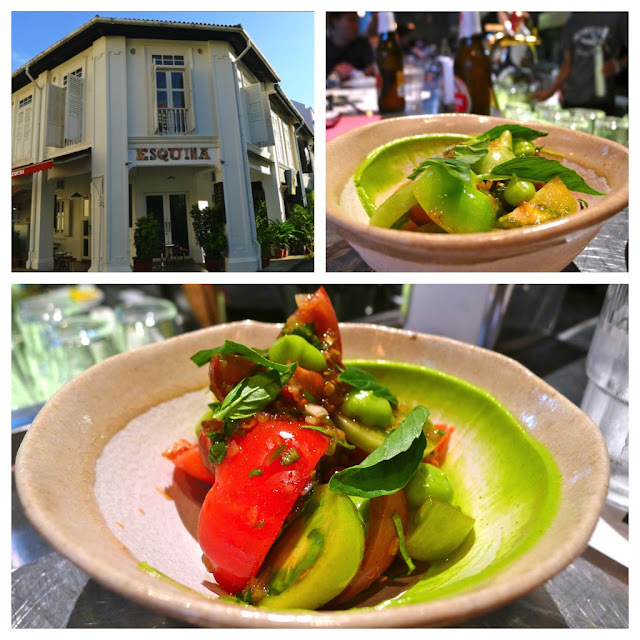 Heritage Tomato with Sherry dressing – Jason Atherton’s Esquina, Singapore (here). 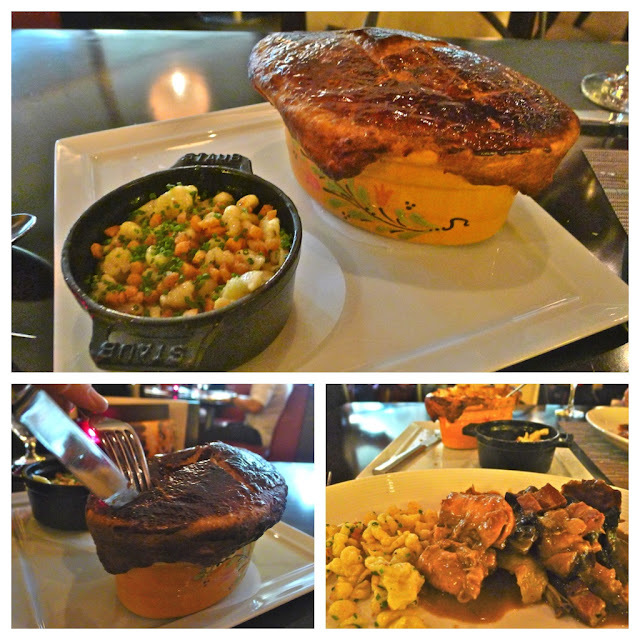 Jason Atherton’s Esquina in Singapore is another restaurant we were fortunate to eat in twice. The fish dishes are magnificent and we found the meat courses had much improved on the second visit but it is this tomato salad that manages to push its way to the front of my mind as the best dish. 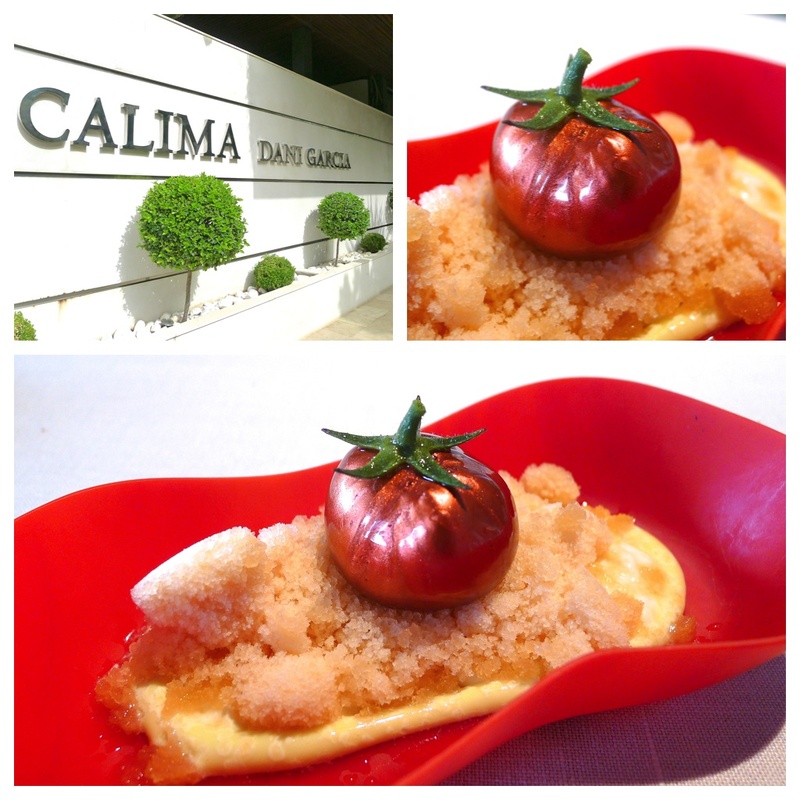 Tomato Nitro – Calima, Marbella, Spain (here). My meal at Dani Garcia’s two Michelin starred Calima was a real surprise. I made the booking on the strength of the two stars and had not really looked at the menu or style of food – everything about it blew me away. The tomato nitro dish is a great example of the chef’s humour and creativity. 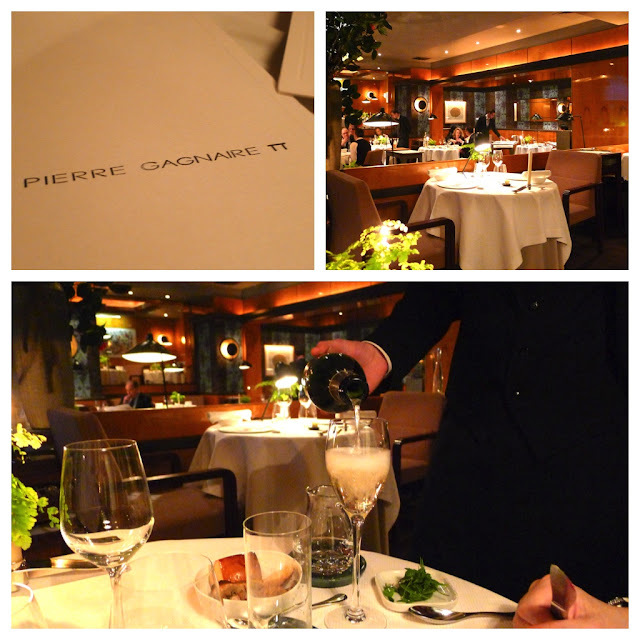 White & Green Asparagus – Le Chateaubriand, Paris (here). Whilst this dish from Le Chateaubriand in Paris, which was at the time the ‘World’s 9th Best Restaurant’, will not win too many awards for presentation, it tasted immense. I love both white and green asparagus anyway but its pairing with the plump caper berries and bone marrow was nothing short of genius from Chef Iñaki Aizpitarte. 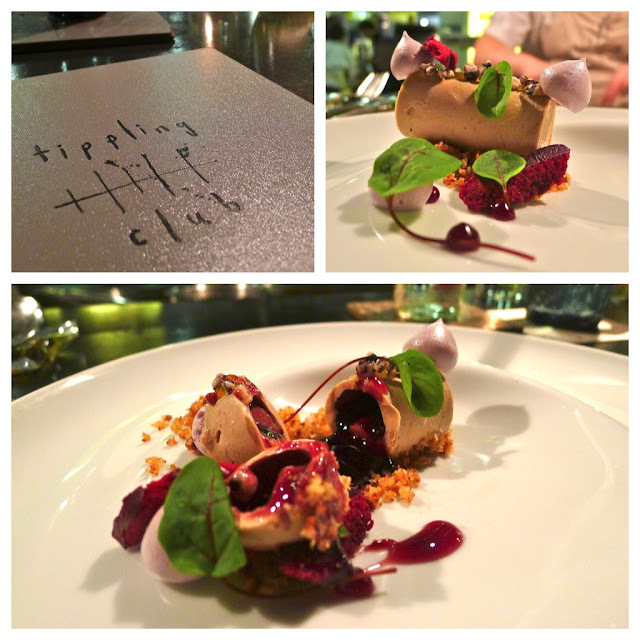 Foie Gras ‘Glühwein’ – The Tippling Club, Singapore (here). Despite having a great reputation in Asia and Australia, English chef Ryan Clift and his restaurant, The Tippling Club is not particularly well known in his homeland; this is a real shame, as I believe Ryan is one of Britain’s best chefs. Set on top of a pain d'épices crumb, a hollow cylinder of foie had been filled with sublimely rich, glossy Glühwein liquid gel. Sushi: I have cheated for this course by assembling three dishes to make a sushi platter featuring Aji Nigiri – Shinji by Kanesaka at Raffles, Singapore (here); Uni & Ikura – Ginza Sushi Ichi, Singapore (here) and the inventive Sawagani Nigiri – Koh Sushi Bar, Singapore (here). ‘The White Course’ – Passage 53, Paris (here). Inside a tiny kitchen in Paris’ oldest covered walkway, the Japanese born two Michelin star Chef, Shinichi Sato prepares with incredible beauty and precision. For its outward simplicity, one dish stood out in my memory - the minimalist creation of a delicious cauliflower crème, perfectly cooked squid, capped with confetti of paper-thin cauliflower. 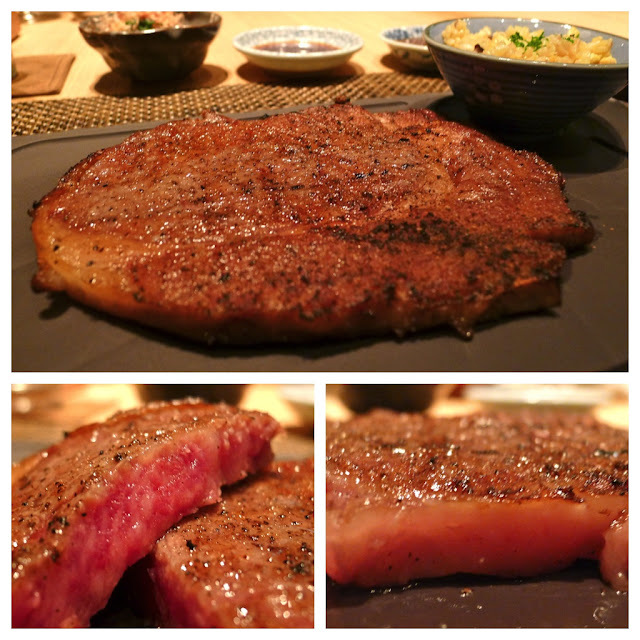 A5 Ohmi Wagyu Steak – Fat Cow, Singapore (here). In the introduction I indicated that some dishes had been selected for ‘quality of ingredient’ – this is an example in case. ‘A5 Ohmi Wagyu’ is generally considered ‘the best of the best’ ‘the Rolls Royce of steak’. It was amazing… well worth the premium paid. 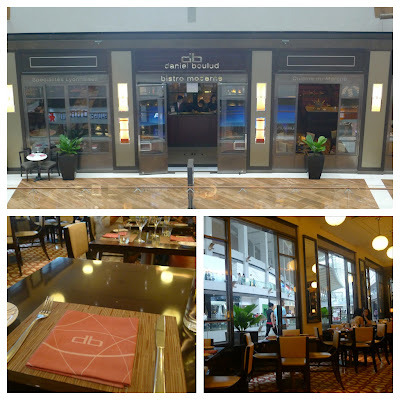 Snickers v2012 – Restaurant André, Singapore (here). 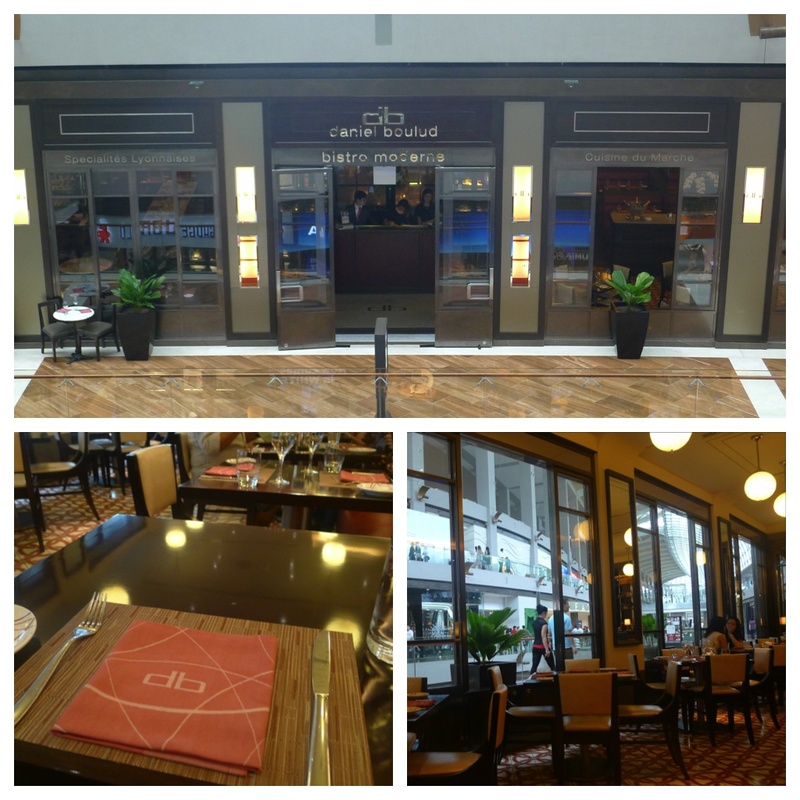 Despite the fact that our meal at Restaurant André did not prove to be the excellent experience we expected, the food was, for the most part, very good. One dish that stands out for its creativity was this dessert as it had everything going on – presentation, technique, texture and of course… the flavour of a Snickers Bar! 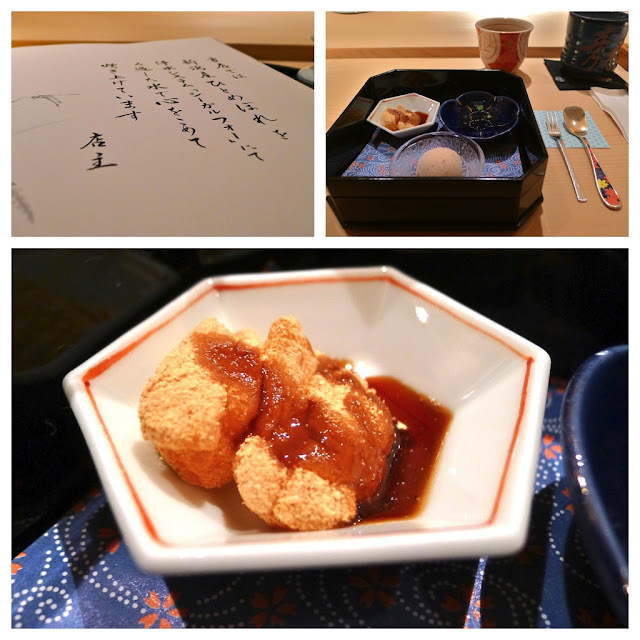 Warabimochi – Les Amis’ Aoki, Singapore (here). Of all the fancy desserts I have eaten this year with all their creative techniques and presentation it may seem a little strange that this brown blob gets a place on the menu ahead of them – but for being a perfect example of its type and utterly delicious it has earned its place. 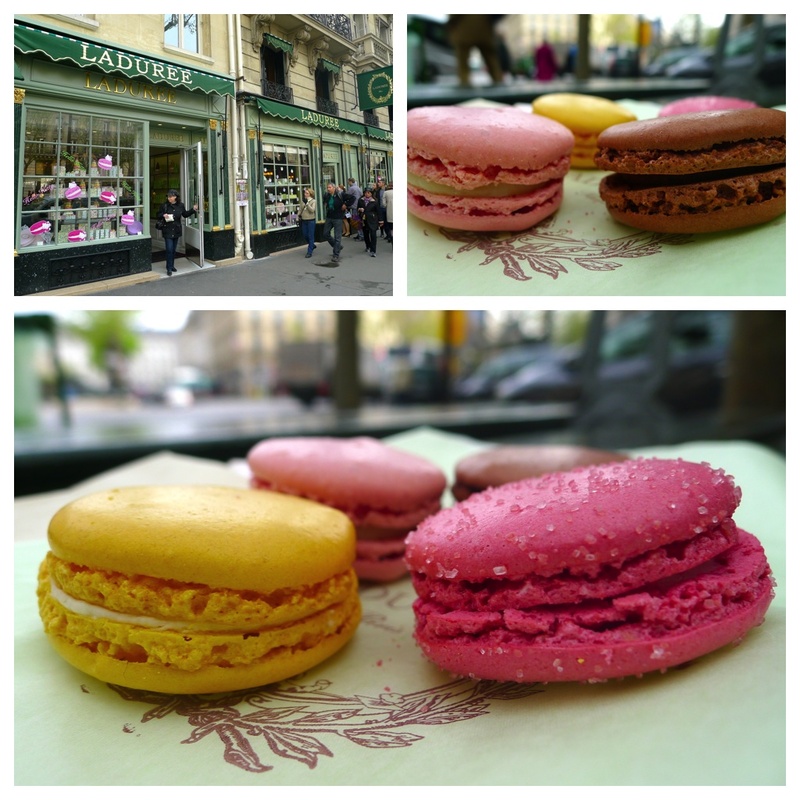 Macarons – Ladurée, Paris (here). A little bit of a cheat as these were obviously not served in a restaurant but I love Macarons and spent a good part of my Paris trip trying to track down the best Macarons in Paris (and therefore the world?). I can think of no better way to end a meal. Location: Alain Ducasse’s Le Jules Verne, Paris (here). 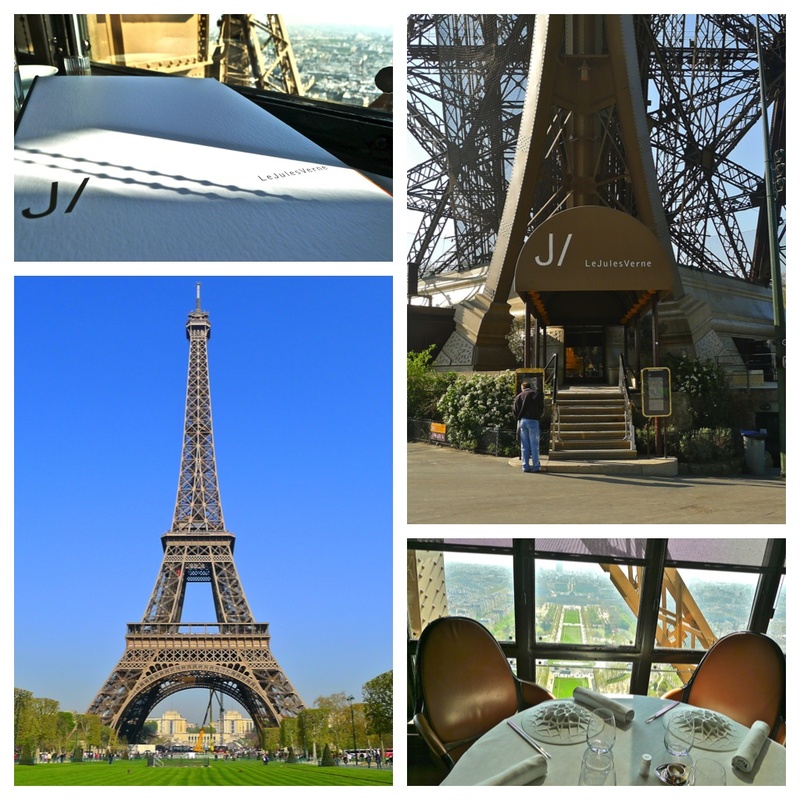 I’ve come to realise that I must enjoy eating high up where there is a view… for my home menu I chose to eat overlooking London at The Cube and for my away trip I could have gone for the view of the pool outside at Nahm, but VIP entry in a private lift leading to magnificent views across sunny Paris cannot be matched. When we first visited Daniel Boulud’s db Bistro Moderne at Marina Bay Sands in Singapore we were treated to a VIP feast by the talented and gracious Chef Stephane Istel (see here). On this visit, I intended to pop in for one of Daniel Boulud’s legendary burgers whilst my wife explored the surrounding Marina Bay Sands. Stephane caught wind of my visit and sent out a complementary speciality from his hometown of Alsace, a perfect Tarte Flambée. 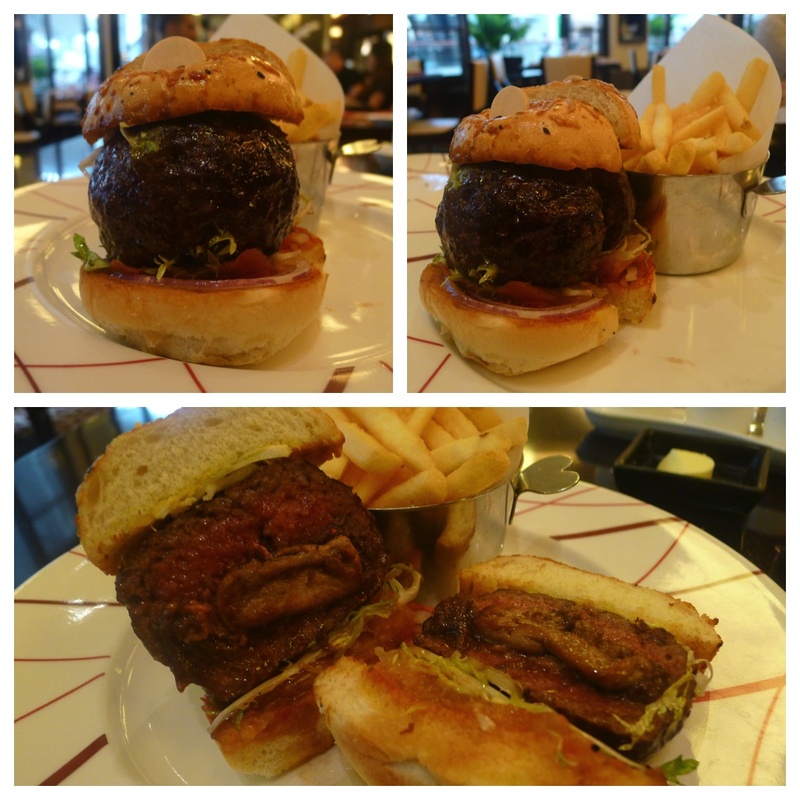 The Original db Burger made with deep meaty sirloin steak patty filled with braised short ribs and foie gras, served on a Parmesan bun is amongst the best burgers I’ve tasted. At $38 Singaporean dollars, it does not come cheap – there certainly seems to be an element of paying for ‘the label’. A final treat came in the form of some of Chef Istel’s dinky madeleines.